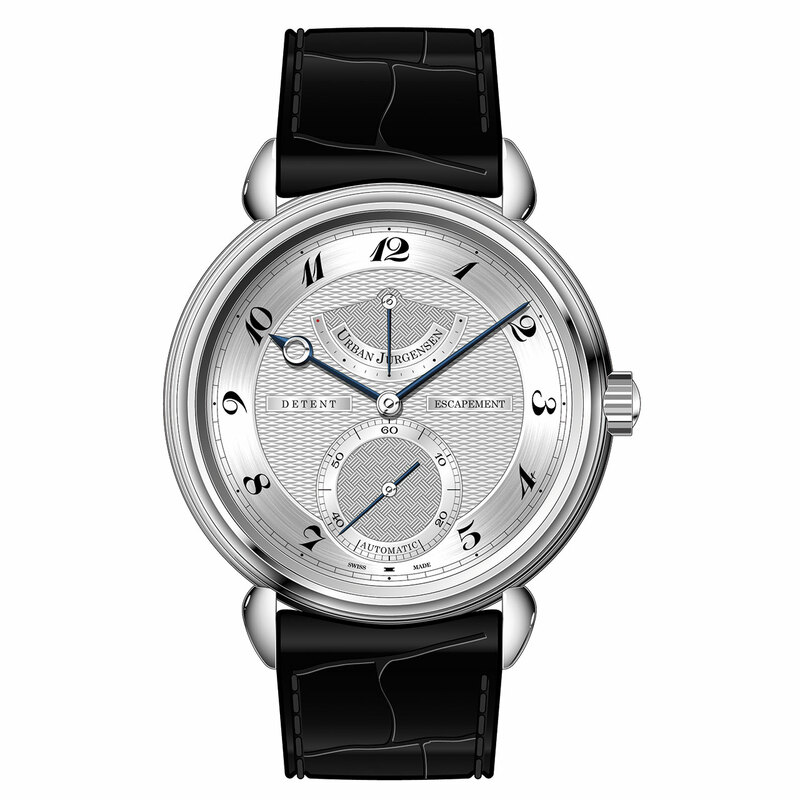 Urban Jürgensen has been manufacturing chronometers without interruption since 1773. In 2003, the company began working on an exceptional proprietary movement that would form a bridge between the high-precision instruments of the day and contemporary mechanical watchmaking. This research would come to fruition, thanks to the contributions of master watchmaker Kari Voutilainen and movement designer Jean-François Mojon, following the demise of Peter Baumberger in 2010. Unveiled last year, the P8 calibre with detent escapement and COSC certification is 40% more precise than the average, and will accommodate an exceptional diversity of complications. Indeed, the Chronomètre P8 Automatique is the first in a large family of watches to incorporate complications into this P8 calibre.